Now that December has arrived, most of us who garden feel we need to wait out the cold weather to get our hands back in the soil. Seed starting won’t begin for another month or two, but while we enjoy time with our seed catalogs and make plans for next year’s growing season, we can still keep the plant-love party going by growing indoors – with houseplants. But even for many seasoned gardeners, the basics of houseplant care and maintenance eludes us. This week, I’m introducing you to Maria Failla. 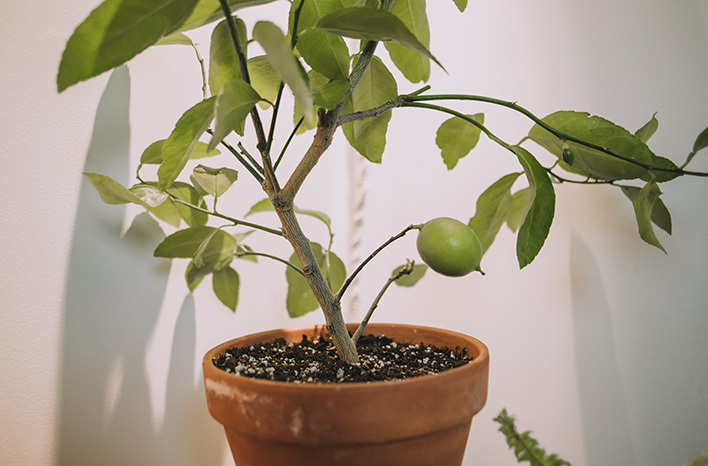 A self-proclaimed Plant Killer turned Crazy Plant Lady, Maria lives in a 500 square foot apartment in New York City. Thanks to her career in the performing arts, she has lived in many cities and small apartments throughout her adult life. She would often buy houseplants on impulse, without knowing anything of the species or what it needed to thrive. As each plant failed, she chalked it up to her lack of a green thumb. It wasn’t until moving into her current apartment and starting fresh with a few herb plants on her tiny Juliette balcony that she began to take a different approach. She turned to her mom, an avid gardener, to coach her through the care and maintenance of her herbs. As the plants thrived, Maria began to reconnect with a part of herself which longed for more of nature in her big city urban environment. She decided to try her hand at houseplants again. This time around, she committed to understanding more about their requirements. She searched for information online, and she turned to a community of plant lovers – plantfluencers – on Instagram. Joined by their mutual love of indoor plants, this group was very open to coaching anyone new to plant care, and they pointed Maria in the right direction to find the information she needed. As a result, Maria’s houseplants began to thrive, and In a short amount of time, her collection grew to a tiny urban jungle of more than 60 plants. Maria was enjoying the journey and wanted to learn more through podcasts. 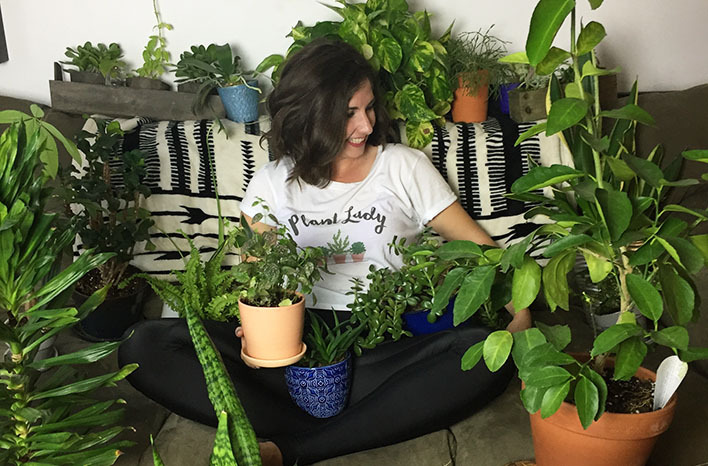 When she wasn’t able to find any shows featuring indoor plant care, she made up her mind to produce a few episodes of her own, Bloom & Grow Radio – with a goal to document her experiences and, perhaps, help other houseplant lovers. 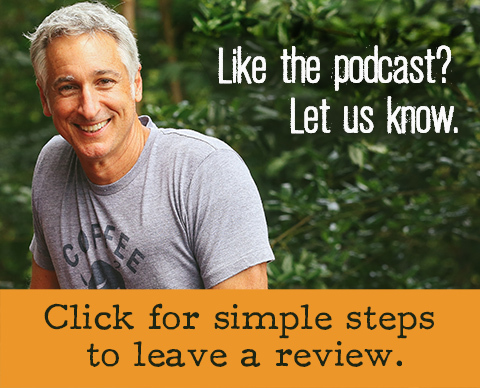 That was one year ago, and with no signs of slowing down, Maria has produced over 40 podcast episodes interviewing experts on plant care and resources available for indoor plant enthusiasts. In fact, I had the pleasure of joining her last fall for her sixth episode to discuss living Christmas trees. 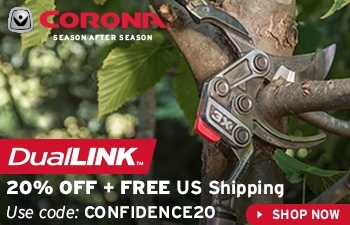 Maybe it’s time you considered a living tree this holiday season? If – like me – you were around during the 70s, you might remember that houseplants were very popular at that time. Enthusiasm faded over the following decades, but it’s safe to say, there is a serious resurgence in a love of growing plants indoors. 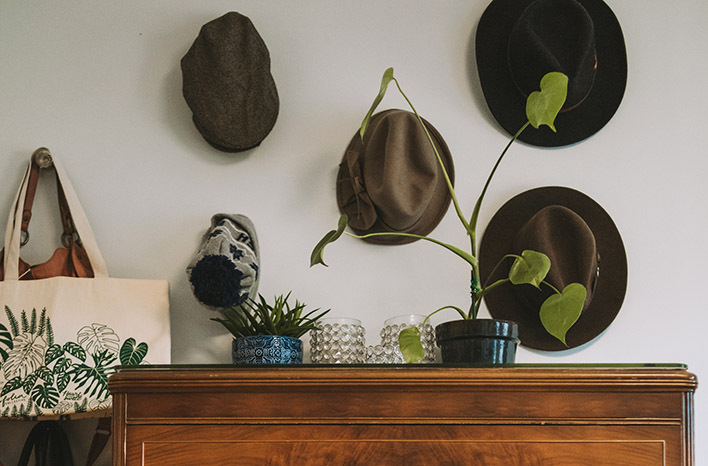 Is this just another phase, or will houseplants maintain their foothold in our hearts and homes? Only time will tell. Maria and I are inclined to think a love of all things green is here to stay. With more of us than ever living in super-urban environments, there’s a common sense of disconnectedness from the natural world. Self-care has become a big focus in our society, and many people have come to realize that plants play an important role in our health and mental well-being. 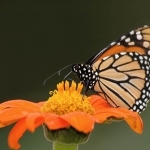 Nature Deficit Disorder is real, and it’s affecting many urban dwellers. The good news? You don’t need a prescription – you just need plants! There was a time when Maria’s boyfriend, Billy had to initiate a plant moratorium on Maria’s obsession with plants. Their small NYC apartment just wasn’t large enough to handle even one more plant adoption. 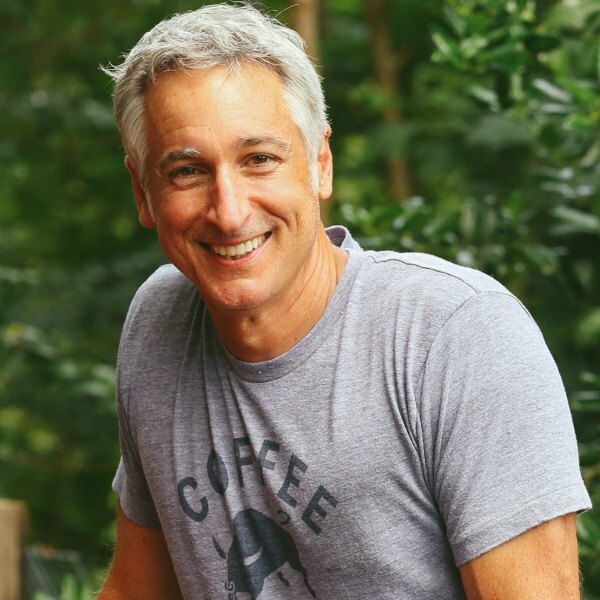 I’m a big proponent of highlighting the many ways that anyone – regardless of the size of their space – can garden. Maria’s balcony is a great example of that. Although it’s only 2-3 square feet in size, her balcony herb garden produced all season long. It also provided a bit of habitat for pollinators and other creatures in her Big Apple neighborhood. 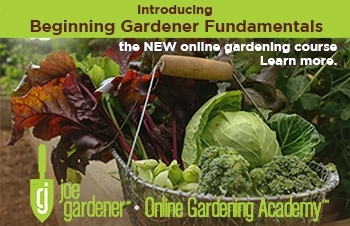 Interestingly, many gardeners feel they can’t successfully grow houseplants – and vice versa. The fact is, anyone can grow anywhere. Proper plant care indoors or out comes down to following many of the same basic principles. However, one key difference between being a good gardener and being a good houseplant “parent” is the distribution of your knowledge and time. 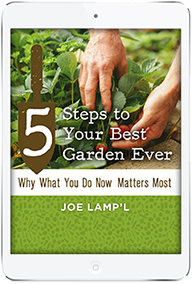 When you garden outdoors, it’s important to learn your hardiness zone and spend time upfront to find the appropriate plants for your climate. 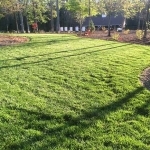 Good soil preparation can be time-consuming at the outset of the garden, yet it provides many time-saving benefits long term. Once we’ve completed that initial work and placed them into the ground, most outdoor plants don’t require significant care afterward. For example: By investing time in healthy soil, you won’t need to provide much in the way of supplemental nutrients later. 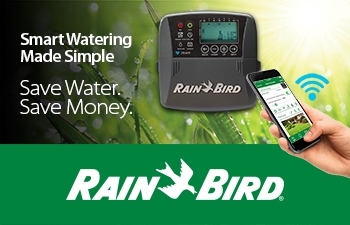 You also won’t need to water as frequently, and you can automate most of your watering. Most houseplant care, on the other hand, comes after the plant been placed in the appropriate spot in your home. You control the environment of indoor plants, so hardiness zones aren’t an issue. You should do that upfront research to learn what conditions each houseplant prefers (strong sunlight, high humidity, low humidity, etc. ), but soil preparation can be as simple as buying a quality potting soil. Houseplants will require more of your time ongoing. It will always be up to you to provide water and nutrients. 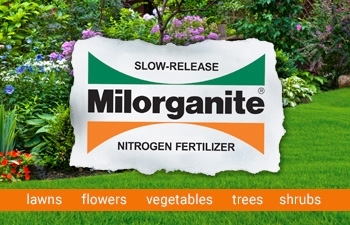 The nutrients in good potting soil will leach out each time you water, so regular fertilizer is a must. Most houseplants are tropical or sub-tropical and aren’t designed to thrive indoors. It will be up to you to accommodate their needs – all throughout the year. Gardening and keeping houseplants might seem like a natural affiliation, but the fact is, they are very different hobbies in many ways. All that being said, there are benefits from watching every plant grow and lessons to be learned along the way. 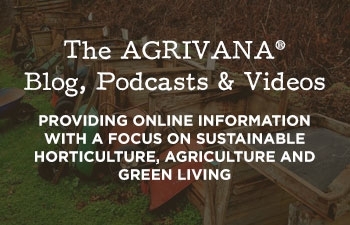 Maria shares the basic care tips she’s followed for success and the hard lessons she learned with each plant “failure.” Whether you’ve never considered purchasing houseplants or you’ve got a few but they never do quite as well as you’d like, these fundamentals might resonate with you as a gardener. Sometimes we, as gardeners, are so busy growing outdoors – we forget to green up our indoor spaces. Healthy garden soil allows for movement of water. If you’ve followed me for very long, you’ve heard me talk fairly often about good soil drainage. Plant roots require oxygen – all plant roots. So, drainage is just as important for your indoor plants as it is for those in your garden. Not providing drainage is a common mistake for anyone new to plant care, and Maria was no exception. She would often buy succulents, since they are one of the most readily-available type of houseplant around. Once she got them home, she would plant them in votive candle holders and place them around her home as cute accessories – often in spots that were far from the light of her windows. They never lasted long, so she began to think of them as disposable decor. 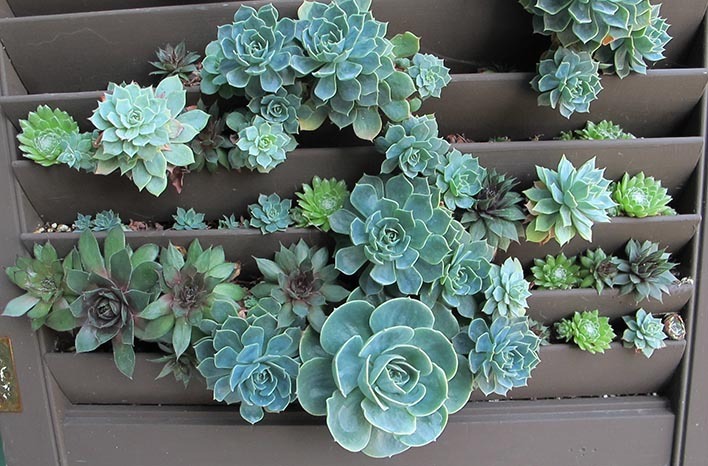 After she began to research plant care, Maria realized that the reputation succulents enjoy as being the easiest type of plant to care for – well, that’s a myth. Succulents can be very challenging, and she had been doing just about everything wrong. Most succulents are native to the desert. They require lots of sunlight (more on that in a moment) and have evolved to require very little water. The glass votive holders Maria loved didn’t allow for any drainage. Although she felt she was being attentive by watering her succulents every few days, it left the roots of her plants sitting in a pool of water with nowhere to go. The roots of her succulents weren’t receiving the oxygen they need, so goodbye succulents. Lesson learned for Maria. Now, she understands that good drainage is important and looks for containers with drainage holes in the bottom. The holes allow excess water to exit the pot, so plant roots don’t suffocate. If you have a container that you love for its look but which doesn’t have drainage holes, use the pot-in-pot approach. Plant into a plastic container with drainage, and set that container inside your decorative pot. 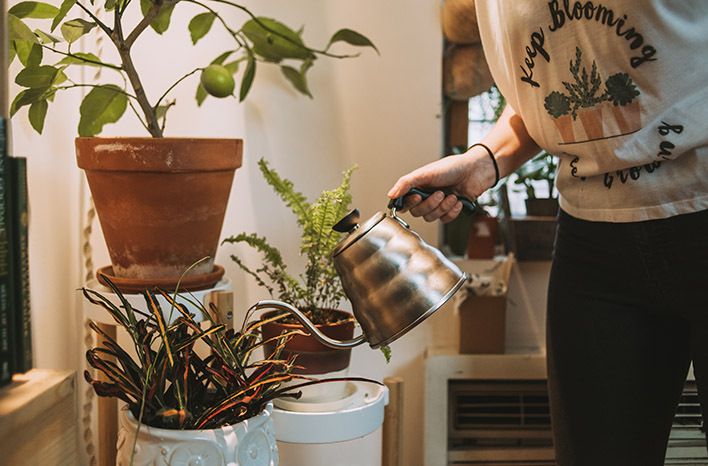 When it’s time to give your plant a drink; you can lift out the plastic pot, allow the water to drain out the bottom, and return it to it’s decorative container. The holes in the bottom of your plant container provide you with a second watering option that’s a good solution anytime the soil has become excessively dry. Set the container into a tray of water, and it will slowly wick the right amount of water up through the holes into the soil. Once the surface of the soil feels moist, it’s sufficiently watered, and you can remove it from the tray. If you’ve heard that proper drainage can be created by placing rocks or some other coarse material in the bottom layer of a container, I’m here to tell you that does more harm than good. The truth is, water doesn’t move easily through different substrates – materials with different porosity. Excess water will be held where the soil meets the rocks, and your plant roots will suffer in the soggy soil. 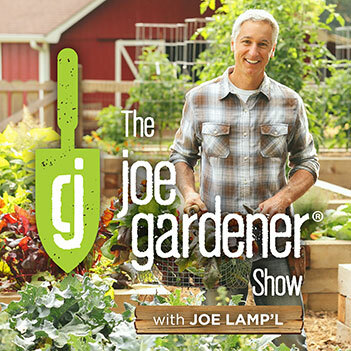 You can watch while I demonstrate what happens in a short video on my joegardenerTV YouTube channel. Still not convinced? Watch and, then, try it for yourself at home. It’s a sad fact that more plants die from overwatering than from underwatering. This is just as true for indoor plants as for garden plants. 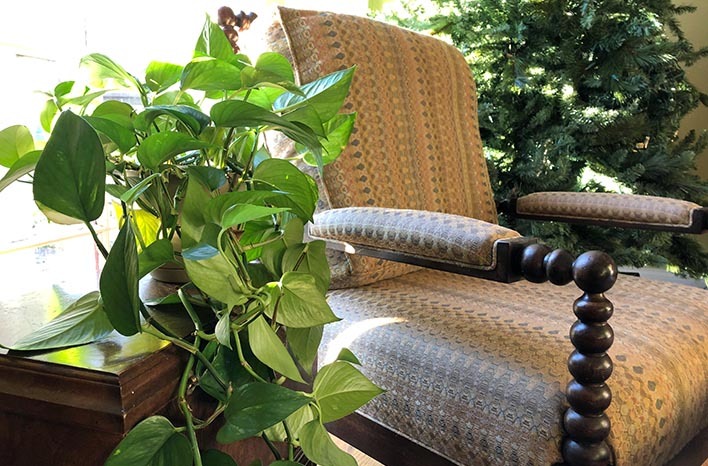 Houseplants are healthier when they receive thorough but infrequent watering. Your best guide – as in your garden – is observation. Some houseplant owners purchase a soil meter, but you can just as easily use your finger to identify when it’s time to water. Stick your finger into the soil at a depth of your first or second knuckle. If your finger is completely clean and dry when you pull it out, it’s time to give your plant a drink. If some dirt has stuck to your finger, check again in a few days. When you do water, be sure to water thoroughly. 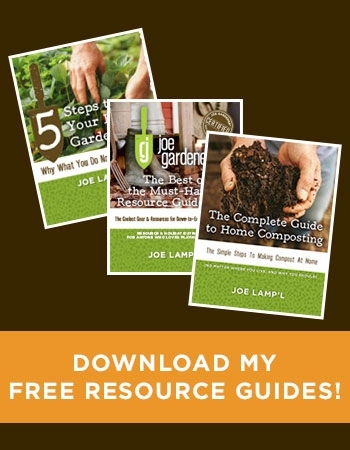 Use the bottom-watering method to allow the soil to wick up all the moisture it needs, or water from the top until the excess is running out the bottom drainage holes. Allow time for the extra water to drain out thoroughly before returning the pot to its decorative container or tray. Water is a precious resource, so maximize its use. When you water from above, do so over a tray to capture and reuse the excess water in your next plants. Occasionally, the soil in your plant might get so dry that the surface becomes impervious to moisture. If water pours out the drainage holes without moistening the soil, your plant needs a little help. Maria combats this by using the water wicking method. That allows soil time to slowly absorb what it needs. 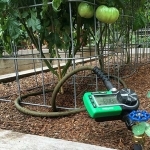 Sometimes, she aerates overly dry soil with chopsticks – poking deeply into the soil in several spots while avoiding damage to the plant roots. This is also a good technique if soil has become too dense or compacted. The resulting holes create space for air movement, and the holes hold moisture for just long enough to allow the soil to resaturate. When you first buy a houseplant, odds are good that it will need to be repotted. You can tell a plant is rootbound when its roots are growing in a circular pattern. Since they don’t have space to extend outward, they grow around the inside wall of the container. Pull the plant from its pot to check the roots before you check out at the store or nursery. While you’re there, look for signs of pests too. You don’t want to bring gnats or other houseplant pests home with you to infest the rest of your collection. Once you get a plant home, allow it time to acclimate to its new environment. That plant has been under a lot of stress from shifting light and humidity conditions, so let the poor thing recuperate for a week or two. When you’re ready to transplant, select a pot that is approximately two inches larger than the plant’s current home. Gently loosen the roots to break up circular growth. Use a good quality potting soil to fill the new pot just enough to keep the crown of the plant roots (the spot where the stem met the soil in its previous pot) between one and two inches from the rim of the container. Give it a good drink to saturate the soil thoroughly and eliminate any air pockets. As your plant continues to grow, it will need to be transplanted again. How do you know when it’s due for a larger pot? If your plant has been doing well but begins to look droopy, it may be because roots are getting too cramped in their current space. Another indicator is when roots grow out of the drainage holes, because they don’t have any more space in the pot. 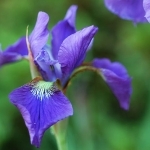 Each time you transplant, move to a container that is about two inches larger. Some plants – like Christmas cactus and hoya – prefer to have cramped roots, so do a little research to learn your plant requirements before you transplant. Just as your garden plants have different light needs – like hosta versus sunflowers – indoor plants have different light intensity and duration needs too. Some, like Crown of Thorns, want lots of direct sun. Others – like African violets or sansevieria – prefer lower, indirect light. Maria made the mistake of putting her Crown of Thorns in a low light area. Let’s just say that plant didn’t last long. Unfortunately, light can be tricky indoors. Fortunately for Maria and her plants, her apartment had unobstructed, south-facing windows. This is the ideal condition for many houseplants, but it’s still not providing as much light as you might think. Outdoor plants are exposed to light on all sides. Indoors, light reaches just the areas of the plant which face the window. As you move away from a window, the quality of the light – even with a southern exposure – goes down dramatically. Recently, Maria used the Pocket Light Meter app to measure the light in her apartment. She was surprised to learn just how much the light varied within just a few feet. In the Northern Hemisphere, southern-facing windows receive the most light throughout the day. Eastern-facing and western-facing windows receive light for the same amount of time, but western light is more intense. Northern-facing windows create a low light situation. That said, all bets are off if you have a building, a tree, or anything else obstructing light from entering your windows. If your plants begin to lean toward the window, they are trying to tell you that their light requirements aren’t being met. So, choose your houseplants to suit the light you have available. Each person’s indoor conditions are unique. There is a wider variety of houseplants available than ever before, so you should be able to find many options to choose from. However if you have low light and just can’t live without those high-light plants, consider adding grow lights to provide a boost. 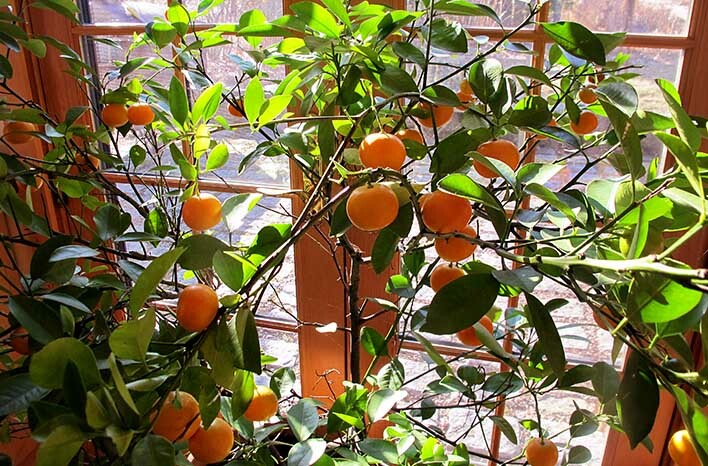 Citrus trees can grow and produce indoors – as long as they receive plenty of light. Who wouldn’t love citrus fresh off the tree from the living room? Indoor spaces are typically very dry, because our heating or cooling systems draw moisture from the air. While some plants do well in dry air, others – like ferns – rely on moisture they absorb through their foliage. You can increase the humidity of air surrounding your plants by grouping them together. All plants transpire, releasing oxgen and moisture into the air. The more plants you gather together, the more their combined transpiration will raise the humidity surrounding the group. You might say the plants that are grouped together, breathe together. Misting plant foliage with a spritzer is a laborious option. This will only make a significant difference if you have the time and dedication to mist several times each day. Maria and I both recognize that’s unrealistic for us, so we purchase only plants which can do well in low humidity. That said, Maria has had success with a Boston fern and has found it to be a little more forgiving than other fern varieties. If you have your heart set on ferns or other plants which want high humidity, you can try placing a home humidifier near those particular plants. There are even some cool mist options available on the market today. The bottom line: When you are realistic about the effort you are willing to put forth to adjust your indoor conditions to meet plant needs, you can find the plants which are most likely to thrive and bring a little bit of nature into your home for many years to come. 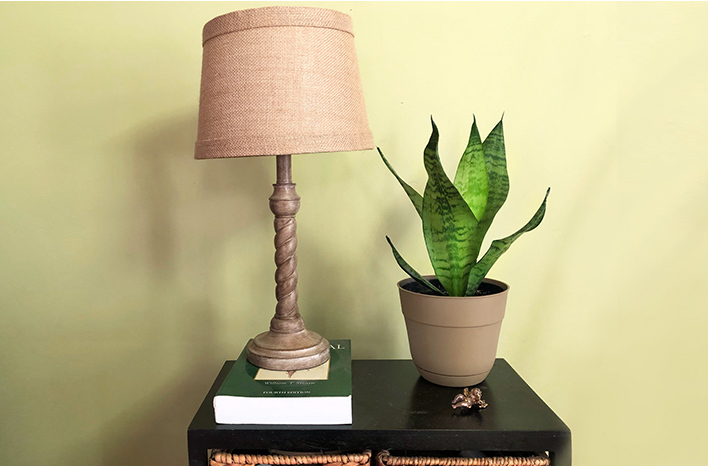 If you travel often or know that, come spring, you’ll be so busy outdoors that you won’t have time to invest indoors; focus on low maintenance houseplants which will be better suited to do well during times your attention is elsewhere. If you do lose a houseplant or two, don’t consider it a failure. 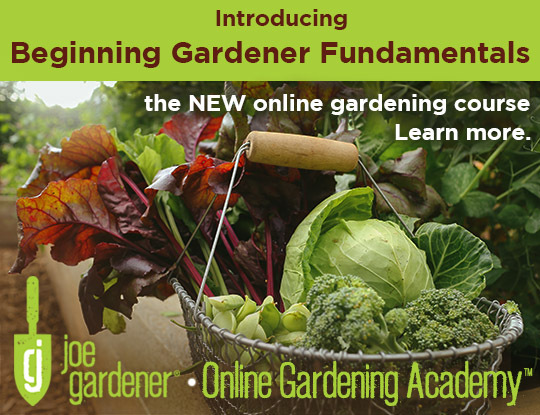 The demise of any plant is really just an opportunity to learn. Take note of what conditions contributed to the death – too much water, not enough water, too little light, etc. – and try again. As you learn these lessons, you will do better the next time both indoors and out. As for Maria, she continues to broaden her horticultural horizons. This year, she followed my seed starting podcast series featuring Craig LeHoullier and was inspired to grow her own tomatoes. She is excited to expand her experiences with growing food in the coming season. I hope that this podcast has encouraged you to green up your indoors. There is always more to learn, and houseplants can teach us just as much as those in our landscape. If you haven’t already listened to this episode, you can scroll to the top of the page and click the Play icon in the green bar under the page title. 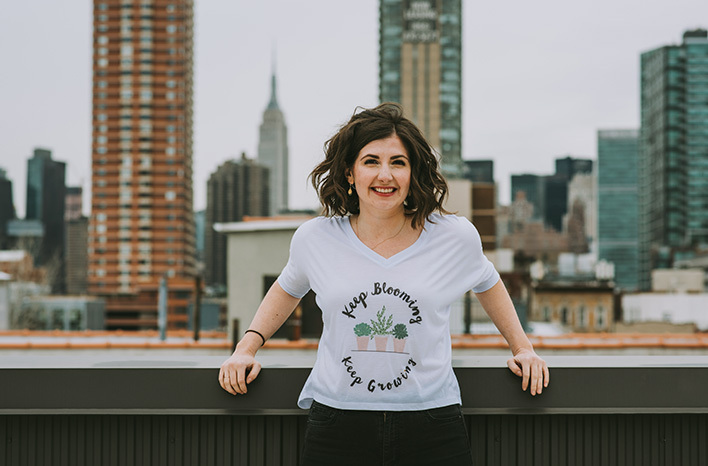 During our conversation, Maria shares more about her experiences in her musical theatre career plus more examples of the houseplants she has learned to love – and to avoid. You’ll also learn about Monsteramonday. Who knew that was a thing? I love my sansevieria plant. It’s low maintenance, grows well in low light, and it’s a sentimental nod to my grandmother. Ok – your turn. Do you have a favorite houseplant? Mine is sansevieria. It reminds me of my grandmother. Plants can be nostalgic, and I think of her sansevieria each time I look at my own. Also – I must admit that, with my five acres GardenFarm™, I appreciate this plant for its low maintenance qualities during those times when I’ve got my hands full outdoors. Share your favorite in the Comments section below.